← Driving Miss Swifer: That Damn Hen Is Makin’ Trouble AGAIN! Want To Learn How To Make Italian Sausage? 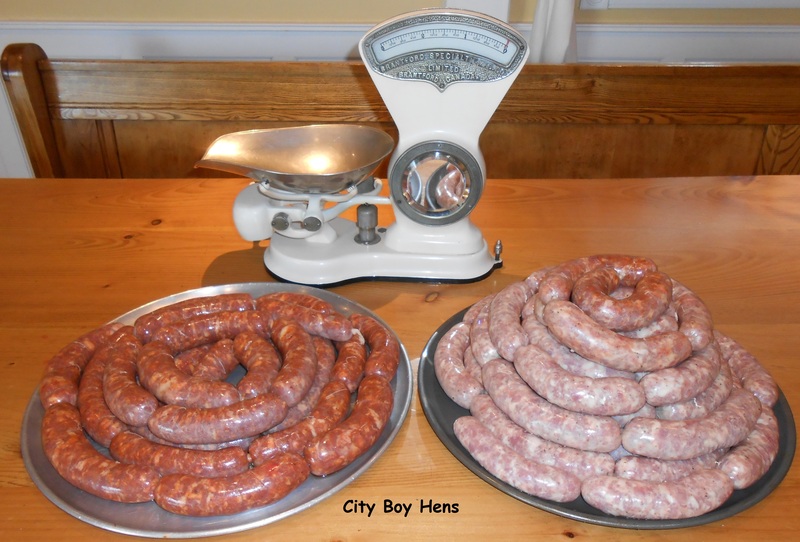 Italian sausage season started last weekend at City Boy Hens. For the last 3 years, my good friend Mike and myself have been making these meaty treats and they taste GREAT! Whether they are cooked on the BBQ, added to Beloved Wife’s pasta sauce or poached in my chicken and sausage cacciatore they ALWAYS add up to a home run! But, best of all, they are made with quality ingredients and work out to about half of the price of a store-bought sausage. For this CITY BOY ,that was enough reason to learn how to make these babies and to chronicle the steps for you to follow. If I can make it, you can make it as well. 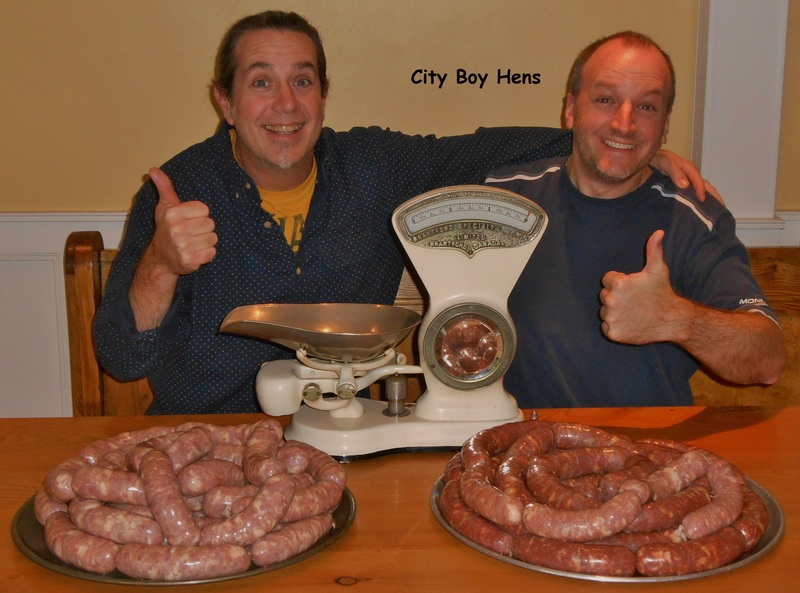 So…..why not give it a try and learn how to make Italian sausage? Before you know it, you too will be beaming with pride as your family and friends sit down together and share a great meal made with your homemade Italian sausage. Now…..you’re just one click away from taking that tasty plunge. Ready?????? CLICK HERE! Love the photo, love the step by step and I am so happy you shared this at the In and Out of the Kitchen link party. You make this look so easy! Thanks Nancy. Will be sure to “grab” the button. I hope your father-in-law enjoys the post. Maybe he’ll even give it a try. You had me at sausage! Thanks for dropping by. I hope you give it a try sometime. Thanks for picking CBH this week. Swifer’s head is gettin’ pretty big! This is a very good post. I don’t think I’ll be making sausage anytime soon but I hopped over just to see how ya’ll went about it. I’d say pretty good for City Boys..I can remember the operation that went on in my grandma’s kitchen when papa was killing hogs..quite a process and I was small an I new to stay out of the way. Thanks for sharing this on the Home Acre Hop. You guys did a great job! Thanks for the compliment. Sometimes it’s those great memories of our childhood that compel us to “carry the torch” as adults.